This Week Dr. Theodore Bear purchased a world wow-wow famous Pop Art Print by that well known prince of the dog art world, Andy Wardog. 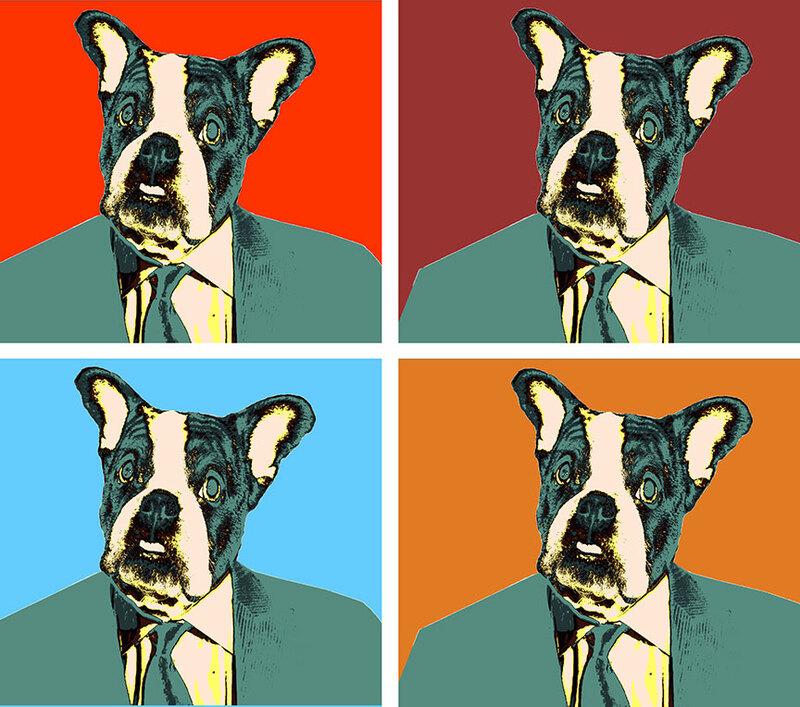 Wardog’s pop art piece of the famous comedian funny faced Johnnie Frenchie, was purchased in the New York Auction Houses of Doggerbys for twenty-two thousand dollars. An investment of this sort for Dr. Bear can only increase in value–Bowwowser!